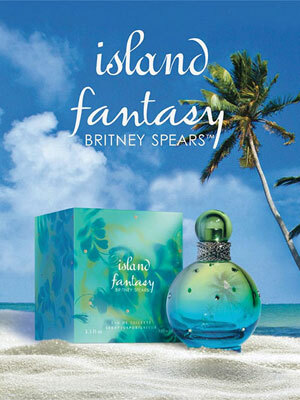 Britney Spears Island Fantasy perfume, a fruity floral fragrance for women "of succulent fruits and lush tropical blossoms" launched July, 2013. 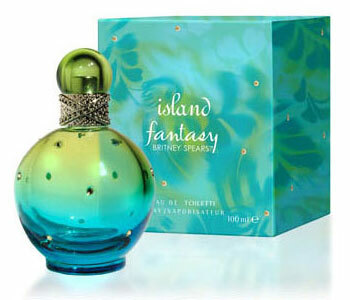 Available in Eau de Parfum spray (1oz/$34) at Kohl's. 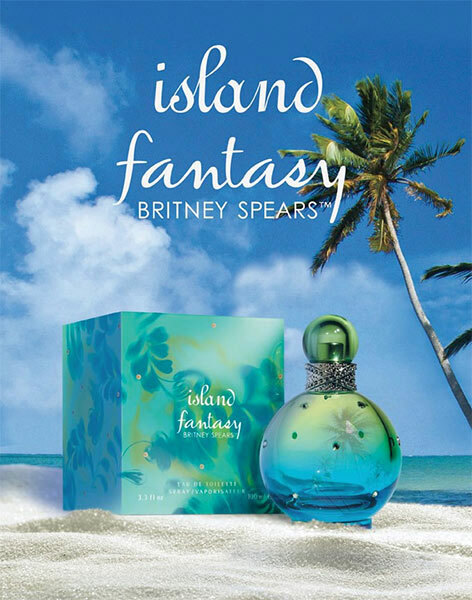 A tantilizing fragrance of succulent fruits and lush tropical blossoms that evoke warm sunshine, ocean breezes and glittering beaches. Succulent - A mouth-watering citrus cocktail, bursting with exotic freshness of mandarin, clementine, watery melon and luscious red fruits. Sensual - A delicately feminine heart blooms with a tempting bouquet of jasmine, freesia and violet. Seductive - Hidden depths emerge as sugar cane and fluffy musk warm sun bronzed skin. 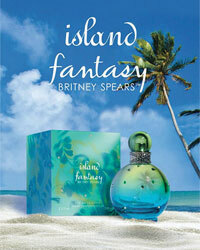 Featuring a sensual scent of juicy fruits, this women's Britney Spears perfume will leave you mesmerized. Fragrance Notes - Perfume offers notes of citrus cocktail, mandarin, clementine, watery melon, red fruits, jasmine, freesia, violet, Sylkolide, sugar cane and fluffy musk.